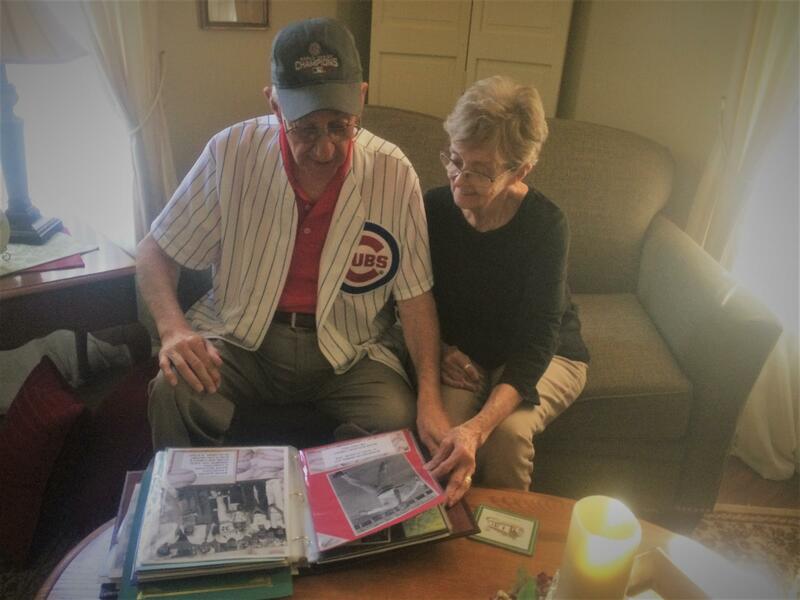 Rich Buchanan and his wife, Judy, looking over a scrapbook from his time as Bloomington mayor. For a guy who claims he’s not a politician, Rich Buchanan sure made his mark in the political arena over the years in McLean County. The 78-year-old Buchanan was involved in local politics in one form or another from 1971 when he was first elected to the Bloomington City Council until his retirement earlier this year after serving five-plus years on the McLean County Board. He served on the council for six years before being elected mayor of Bloomington in 1977–an election he won by garnering 62.5 percent of the vote. He served as mayor for eight years until a family illness caused him not to seek a third term in 1985. "I don't have any regrets. I feel good about what I did. It was fun." 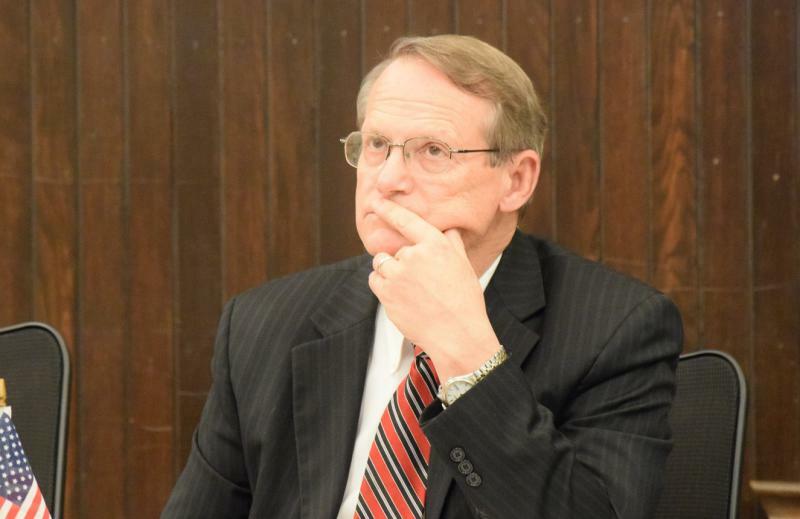 Buchanan, who grew up in Clinton, served on the McLean County Board for a little over five years before complications from Alzheimer’s disease forced his resignation earlier this year. Buchanan, who never considered himself a politician, said he was approached by a group of people to enter the political arena during a time when the Bloomington City Council consisted of five people and the mayor in an at-large form of government. “The worse thing (we) ever did was go to a ward system,” he added. “I had one group approach me to run for City Council. Now why they ever thought that I could beat an 18-year incumbent and a 12-year incumbent, I don’t know. I went my boss’s boss, Roger Joslin at State Farm, who was the chairman of the Republican Party, and he told me I didn’t have a chance. “(My wife) Judy was born with a campaign manager’s genes and I loved to campaign. I finished second and they were electing two, so I got elected," he said. Buchanan prides himself on being a people person. He also said he learned a valuable lesson in his first year as mayor. 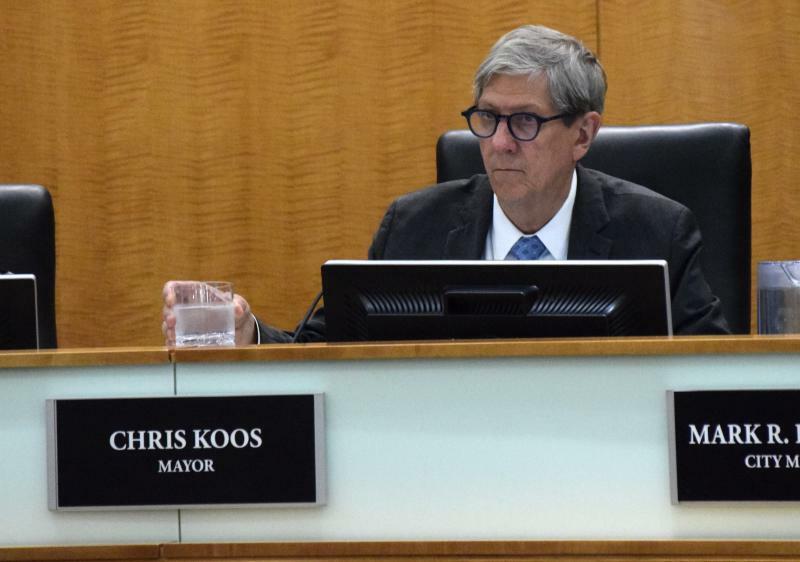 “It’s not a well-kept secret, but a mayor doesn’t have his or her own life. You do what your calendar says to do,” he continued. “I had been mayor less than a year and had young daughters. I came home one Saturday night after serving the city (until) midnight. I didn’t wake them up, but told them good night and I stood there in just total fear. So he devised a technique to make sure family time was included in his schedule. “The technique was (secretary) Mary Williams, who recently passed away. Without her I wasn’t much. What I did was when somebody would call and want me to cut a ribbon, go welcome a new pastor or whatever, I had Mary find out why they needed the mayor and what the topic was. “I had her find out what time they needed me there. What time did they want me there, what topic did they want me to be responsive to and what time would I be free to go home and be with my family because it was my family night. Just like that, things changed. I would not have run for a second term if that had continued," he said. Buchanan’s salary was $4,800 a year, and he said twice he voted against increases in pay because “I believe in the citizen soldier. We’re paying twice as much for mayor (now) as we should in my opinion,” he added. Buchanan credits Bloomington business owner and McLean County Board member Nancy Froelich with helping forge one the biggest highlights of his mayoral stint. “You can give her just about 99 percent of the credit for beginning the process of having these towns (Bloomington and Normal) learn how to work with each other. Save the other 1 percent for (Normal mayor) Richard Godfrey and Rich Buchanan,” he said. “She’s the one who got us together by talking to each other, but she had willing partners with Godfrey and Buchanan. She was the key. Without her, we would still be a divided entity. Buchanan also said his friendship with Godfrey helped matters. "You put the ballot in front of me now and I'll vote to merge these two towns." Buchanan also said he’s always been a strong proponent for a single metro government for the Twin Cities. How does Buchanan think people would rate his performance as mayor? “That’s kind of hard to judge,” he said. “I was never arrested and I didn’t steal any money. I made some mistakes along the way. You have to have some ego to be mayor, so I would grade my post-mayoral service very high. I give myself a B-plus. I didn’t do everything right, but I believe in a legitimate survey I wouldn’t get any lower than a B. An excerpt from GLT's interview with Buchanan.